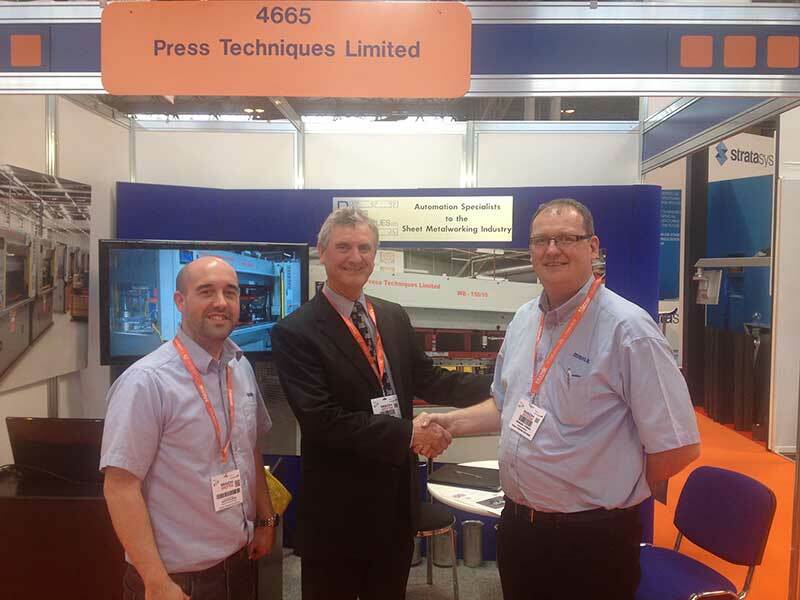 Press Techniques, a specialist manufacturer of bespoke hydraulic and mechanical presses, has enjoyed a record-breaking MACH after signing a major new deal. The company used the exhibition to seal a contract with Mahle Engine Systems to re-engineer a high-end bearing shaving machine that will be used to produce engine components for customers involved in Formula 1 and Moto GP. “We have worked with the company for many years, but this is the largest single order we have won with them and I’m delighted that it came during MACH,” explained Alan Penn, Director. Established in 1989, Press Techniques is one of the few UK companies that still designs, builds and commissions new metalworking equipment. It has recently moved into a new site in Wakefield to help with capacity and, from there, can supply single piece flow machine cells, bespoke hydraulic/mechanical presses and automation systems. For further information, please visit www.press-techniques.com or contact 01924 291463.